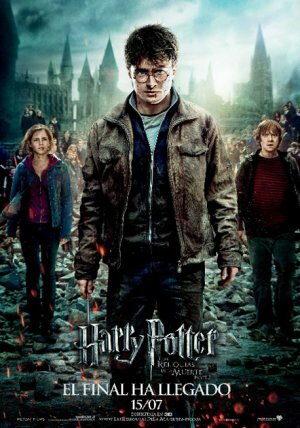 Daniel Radcliffe (Harry Potter), Rupert Grint (Ron Weasley), Emma Watson (Hermione Granger), Ralph Fiennes (Lord Voldemort), Michael Gambon (Albus Dumbledore), Bill Nighy (Rufus), John Hurt (Sr. Ollivander), Rhys Ifans (Xenophilius), Helena Bonham Carter (Bellatrix Lestrange), Robbie Coltrane (Rubeus Hagrid), Imelda Staunton (Dolores Umbridge), Jason Isaacs (Lucius Malfoy), Miranda Richardson (Rita Skeeter), Alan Rickman (Severus Snape), Maggie Smith (Minerva McGonagall), Brendan Gleeson (Alastor ‘Ojoloco’ Moody), Timothy Spall (Peter Pettigrew), David Thewlis (Remus Lupin), Julie Walters (Sra. Weasley), Tom Felton (Draco Malfoy), Bonnie Wright (Ginny Weasley). David Yates (Dirección), Mark Day (Montaje), Eduardo Serra (Fotografía), Steve Kloves (Guión), Alexandre Desplat (Música), David Barron, David Heyman, J.K. Rowling (Producción), Stephenie McMillan (Vestuario).